Commissioned by the Mayor of London himself, the four night Lumiere London festival will use the capital’s most iconic landmarks as the backdrop for artistic exploration from the 18th – 21st of January. 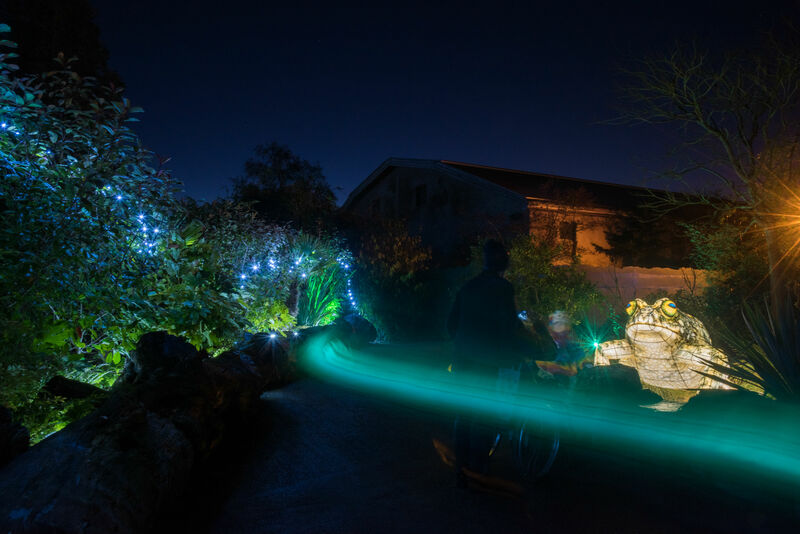 Produced by art charity Artichoke – who describe themselves as “the UK’s leading creative producers for art in the public realm” – Lumiere London will transform the city’s uniquely recognisable streets, buildings and public spaces into a large-scale nocturnal art exhibition of light and sound. The range of the festival is enormous, with a programme of over fifty extraordinary artworks created by international and UK artists spanning the length of the city. Taking place within a number of well-known locations, visitors can expect to see artworks across London’s West End, Kings Cross, Mayfair, Fitzrovia, Southbank, Waterloo, Westminster and Victoria – the city will truly be transformed into an “open-air gallery without walls”. With so much to see – including Westminster Abbey in Technicolor or the Northern Lights in Grosvenor Square – it’s hard to know where to start. To help, a programme and festival map is available here, and there are easy walking routes between many of the locations. DesignCurial have also gathered together 7 must-see installations from around Lumiere London that we think show the range and creativity of the festival – if you don’t see anything else over this vibrantly coloured weekend, be sure to visit these amazing works of art! Bringing an idyllic wonderland to the city, Leicester Square Gardens will be turned into an expansive, illuminated secret garden. The luminous orchard transforms a usually busy area of the city into a space for quiet and reflection; UK based Lantern Company (with Jo Pocock) hope to play with the relationship between the wilderness and urban city life, inviting visitors to gather in the garden to celebrate the natural world. French artistic studio TILT has envisioned a surreal take on the King’s Cross business environment with their installation Lampounette. The piece pays homage to the iconic office desk lap – but makes the everyday object giganitc. 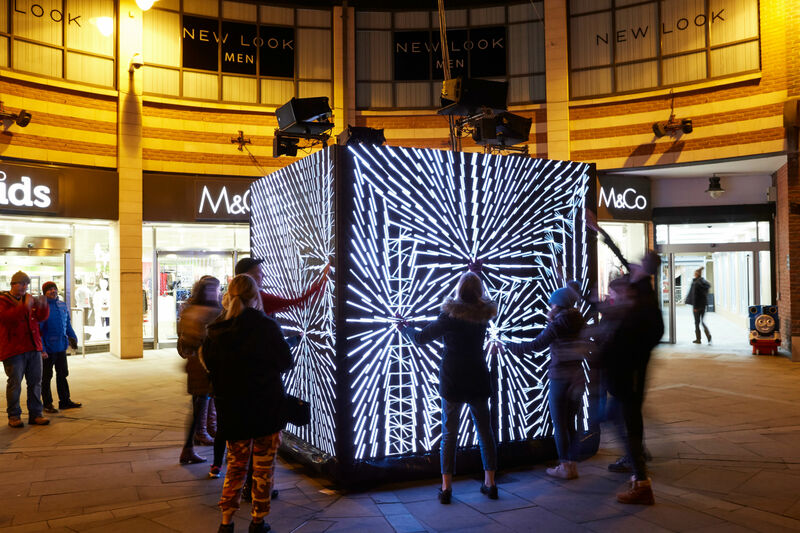 TILT also took part in Lumiere London 2016, creating the Leicester Square installation; their projects always focus on the exploration of light, and how the medium interplays with art, architecture and space. Visitors to this unusual field can expect a truly sensory stroll. 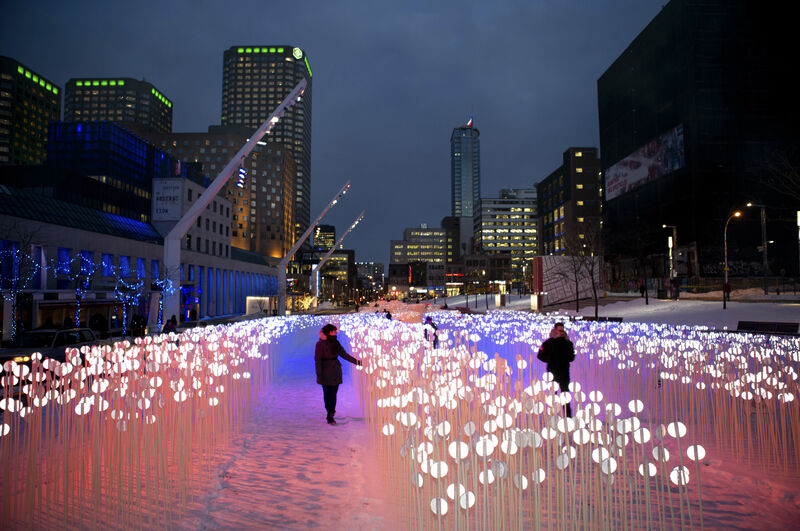 Canadian artists Rami Bebawi / KANVA have filled the Lewis Cubitt Park with thousands of illuminated flower-like reflectors, creating a tribute to fields of wheat that shimmer as the wind whips through them. Inspired by the changing relationship we have to water, and the risk that global warming poses to rising sea levels, Dutch artist and innovator Daan Roosegaarde has transformed Granary Square into a beautiful dream-like landscape. 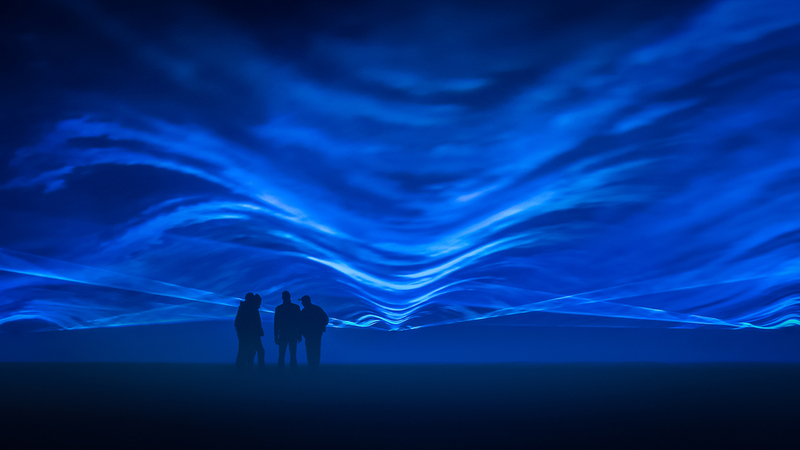 Invoking the power and poetry of water, Waterlicht draws viewers into a virtual flood; the installation also encourages visitors to use their mobiles and headphones to tune into the accompanying soundtrack for a fully immersive experience. Situated in the heart of Mayfair, Impulse is a field of illuminated, interactive seesaws that invite the public to play in an urban, public space and find their inner child. Co-created by Canadian design practices, Lateral Office and CS Design, the more the seesaws move, the more light and sound is produced – creating a kinetic, dynamic experience that is individual to each user. 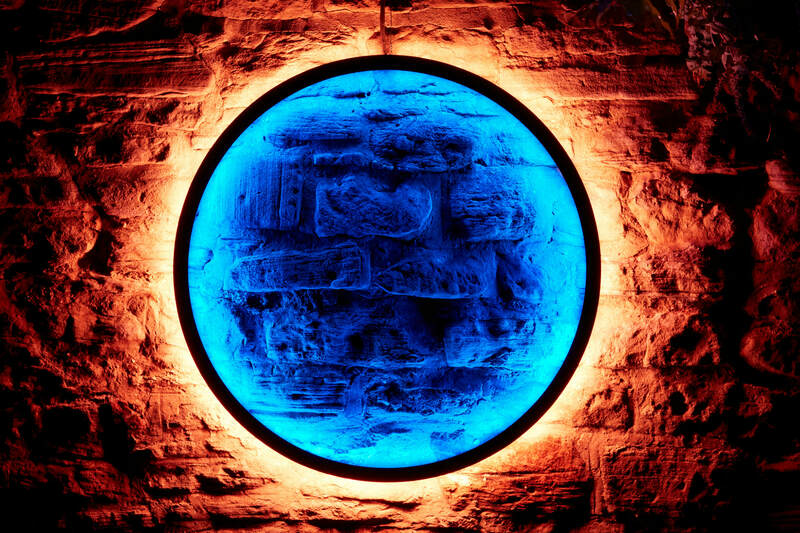 Canadian / Columbian artist Daniel Iregui has created an interactive LED sculpture in Fitzrovia which uses five different states of sound and visual form; each state individually explores geometry and pattern. Viewers are encourages to use their bodies to manipulate the graphics of the piece, creating a series of shapes. 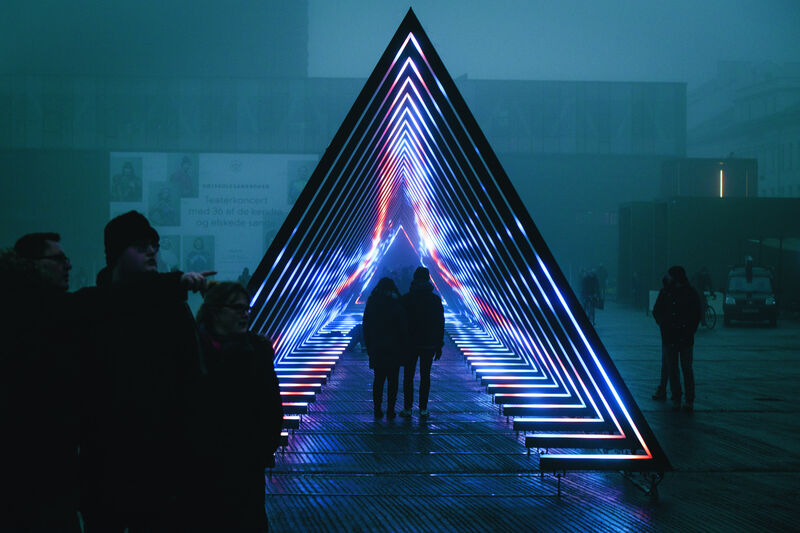 Becoming a beacon of light along South Bank, The Wave by Danish artists Vertigo consists of forty triangular, glowing sound gates – the gates stand at over three metres tall and create a path that is over eighty metres long. Visitors to the installation will co-create the experience with the gates responding to movements both sonically and visually. 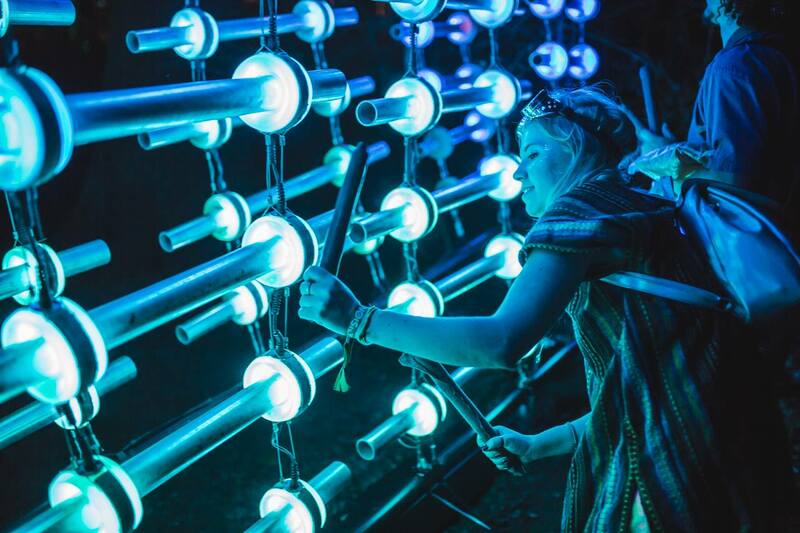 Those who view the installation more than once will find The Wave ever changing, with the gates creating new responses across the four nights of the festival.